Tipodean and Kitely should talk. Seriously, guys! One company has a Web-based viewer for OpenSim. Still in early, experimental stages, but fast and responsive. Add avatars, voice, and the ability to sit down and they’ve got themselves a big winner. 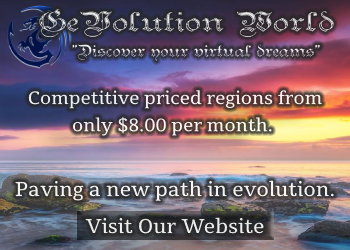 The other company has a Web-based front end for creating cloud-based OpenSim regions on the super cheap — just $0.10 per month per region, with an additional $0.20 per hour per user for when the region is actually being used. The two companies — Tipodean and Kitely — should definitely get together. Visiting with Jon Brouchoud on his Architecture Island running on Kitely. 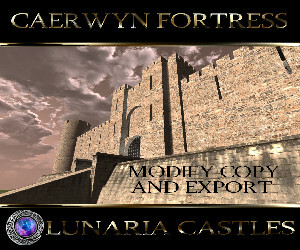 Tipodean’s BuiltBuy.me viewer runs right in the Web browser, using the Unity 3D plugin. Kitely’s OpenSim region creation system runs in the browser — but then it has to download a Second Life viewer for people to actually visit the sim. Those of us with Second Life viewers already installed on our computers don’t care, but new users would probably prefer to avoid this step. Tipodean’s BuiltBuy.me viewer is simple to the point of … I don’t know, a grilled cheese sandwich? It’s still new and experimental, and missing key features, but it’s unlikely to grow into a complicated Second Life-style viewer with full building capabilities any time soon. That means it’s perfect for newcomers, who just want to come for a class, a sales meeting, a product presentation session, a support group, a music event, or to just hang out with friends. If they want to do more, the full-featured, downloadable, standalone viewers are always available. Meanwhile, Tipodean’s BuiltBuy.me viewer requires that users who want to host guests first create a region — either in Second Life or OpenSim. That means that they have to pay a hosting provider, or put up the region themselves — either way, it’s going to take quite a bit of time. And, possibly, some money. Kitely will create a brand new OpenSim region users users in less than two minutes, using the simplest, smoothest interface known to man. And these regions are dirt cheap — just $0.10 a month to keep them up, then $0.20 per user per hour for when the regions are being used. A region that’s used a total of 40 avatar-hours a month will come out to $8. There’s no charge for regions when there are no avatars on them — users can set up as many regions as they want. It’s all hosted in the Amazon cloud, where storage is cheap and getting cheaper day by day. The two companies don’t have to get married — they can just hook up, on a casual basis. For example, Kitely could offer the Tipodean viewer to its users as an alternative to the Second Life or Imprudence viewer for instant access on the Web. Since the Kitely regions are uniquely configured, the Tipodean viewer would have to be adapted a bit for this to work. Maybe Kitely could share some of its hosting revenues with Tipodean to make the programming worth it. Or, on the other hand, Tipodean could resell the Kitely service to its customers who want to get regions up and running quickly. Kitely did say that they want to a be a behind-the-scenes utility. Here would be one way to do it. By having a Web-based viewer, Kitely could reach beyond its current target audience of current Second Life and OpenSim users, to the general public. By offering easy cloud-based region hosting, Tipodean could secure a revenue flow to help fund future viewer development. Next story When do cloud-based sims make sense?